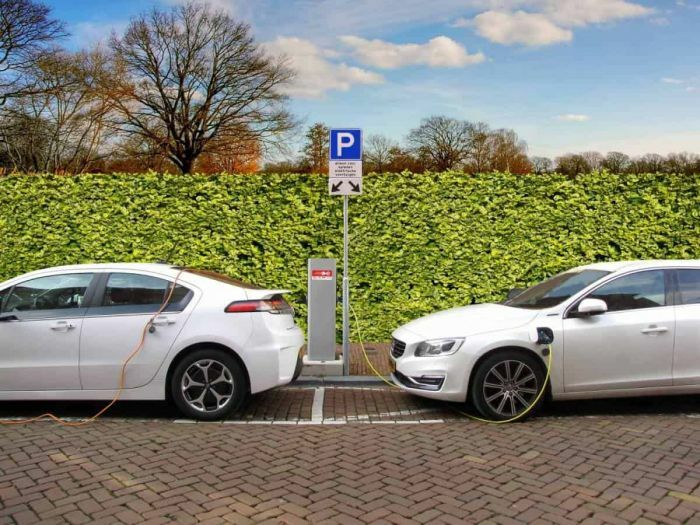 About 3 days ago Delta Americas announced that it has make a partnership with General Motors and few other partners (DTE Energy, NextEnergy, CPES Virginia Tech and more) to kick off US DOE-sponsored program to develop 400kW "extreme fast chargers for electric vehicles." This is a 3-year project and costs 7 million dollars. BBy utilizing solid-state transformer technology, we have the opportunity to create unprecedented charging speed and convenience that will ultimately help support the DOE’s strategic goal of increasing EV adoption across the nation," said M.S. Huang, president of Delta Electronics (Americas). As this new fast charging aims to provide 400kW electricity to electric cars, it is set to outpace both Tesla's Superchargers, which can provide current-generation cars with up to 120-kilowatts of power, as well as Porsche's new 350-kW chargers. I have to acknowledge that I love news like this. GM is playing the long game and has been thinking ahead for several years now. Some EV enthusiasts in forums say GM would have been much farther if it had not crushed the EV-1. But EV1 wasn't destroyed as GM needed time and lessons, which went to develop Volt and Bolt. Besides, I don't think GM would have been too much further. The bottle neck has always been battery technology. If you look at the history of electric car progress you will see that it would have taken a lot more than simply GM acting alone in battery technology. The breakthrough has mostly come from the mobile phone industry. Also, GM didn't stop development of electrified cars. Most employees from the the EV1 program moved over to the Fuel Cell program. Which is just an electric car with a different way of storing the energy. When GM started the Chevy Volt program many moved back over from the fuel cell program. The chief engineer of the Volt - Andrew Farah was originally on the EV1 program. It's good to see that GM continues to innovate. It will be very interesting to see what the next 10 years will bring. "the proposed XFC design is expected to offer grid-to-vehicle efficiency up to 96.5 percent, four times less weight and half the size of conventional DC fast EV chargers (DCFC), as well as a high voltage direct current (HVDC) port to utilize energy storage and renewable energy systems, minimizing demand on the power grid. All these unique features will accelerate the ubiquitous adoption of EV charging and enhance Delta’s leadership within the e-mobility sector," reads the release from Delta Americas. This is not a CHAdeMO standard. Looks like we are going to have a yet another standard. However, the standard is not fully known but will likely be an evolution of CCS. Some EV enthusiasts say that since GM has never heavily invested in CHAdeMO, this is a smart move by GM because CHAdeMO is already obsolete. A standard that will meet all future needs is where GM needs to be. It is like a third world country skips landlines and go directly to mobile phones. However, CHAdeMO finally caught up and recently updated their protocols. But no one has announced any plans to actually use them unlike CCS. These XFC chargers will be ready in 2020. Fast charging will be fabulous. Battery capacity has gotten to where we need it (and will likely just keep getting better). Biggest implication of these advances: we won’t need fuel cells and hydrogen. We can get to the future without them! "Great changes don’t come overnight, it’s going to take some time. Today’s tech will seem quaint in 10 years but the engineers have to be on it now and GM is leading, not following. I love my ‘17 Volt G2, excited about what I’ll replace it with when it’s 10 years old. Nearly 30k trouble free miles, rarely use gas but never have to worry about range or charge times either. My rooftop solar powers my home, charges my car and pumps the water for 2 homes. Sold my GM stock at 41 recently because of this stupid trade war/tariffs that will kill auto sales, already down for past few years. Hoping this administration is disposed of quickly and to buy the stock back around 30, half way there already," comments Lowell Grant in GM Electric Car Owners group on Facebook. John Falk, who has contributed to Torque News, writes. "I for one am psyched about the current state of electric car technology development. I could care less about who’s developing what faster. GM isn’t fooling around. They partner with other developers for this technology. It is a game changer. Anyone who can bring the Bolt to market in 2 years is not a company that is fooling around. And this technology is coming by 2020. GM is not creating vapor ware. Just look at the last 7 years of electrification. Volt, Spark, Bolt, CT6 plug-in. And what’s next. A Buick electric crossover. Look at GM’s ICE performance cars. If you don’t think a Tesla beater isn’t coming your wrong. An electric corvette variant for Cadillac won’t surprise me. And one as quick as a model S 0-60 2 seconds. The only thing separating Electric cars will be styling, features, safety technology, build quality. Legacy automakers have an ability to excel here because of their expertise. It took Kia and Hyundai and the right leader of the company to fix their quality image. And you have to be profitable. American automakers get so much profit they can support building research and technology development of the next big thing. Electric cars." Let's point out that Bolt EV started development in 2011. When GM showed the concept in January of 2015 the car was already mostly done at that point. The automotive industry is a long lead industry. GM's next generation EV platform is already far along in development. John, in a later comment, agreed with this. What do you think the next 10 years will bring in terms of EV range and charging speed? Please, share your opinions for discussion in the comments section below. It's about time. The Bolt DC charging is probably the slowest DC "quick" charge in the industry. CHAdeMo is an absurdity - only Nissan and Mirsubichi are using this obsolte charging technology. although it is just as fats as Tesla Superchargers at this point, despite having no cars capable of using its power. CCS is the worldwide standard - Tesl was stupid and, as usual, greedy, when they attempted to create a charging monopoly. Now the CCS buildout will overwhelm the Superchargers, which, as Musk stupidly "bragged" : 90% of Americans are within 150 miles of a Supercharger!! Whoopee. GM and "innovation" have not gone hand in hand for almost 50 years. If you look at ICE tech, theirs current engines are almost 20yr old tech, Ford is crushing them on efficacy with their ecoboost tech. None of the big 3 are an electric innovator in my eyes though. But doesn't 10-minute charges wear out the battery rather quickly? Plus, when I was asking some science folk about how quickly you can charge a battery, they remarked something like, no quicker than 20 minutes, and it would take 20 to 30 years before we could see that halved. As such, I'm skeptical. Funny. I haven't seen a single GM charger. They got a long ways to go to beat the Supercharger network. Here is what we may see in the next 10 years: Hotter much days around the globe, horrific storms, greater coastal flooding, famine, mass migration, trillion-dollar lawsuits against the fossil-fuel industry, a massive boom in renewable energy, and carbon taxes. It is great to see GM moving forward with setting up an EV charging infrastructure. As with other EV technologies, it does require a vehicle with a matching onboard charger that is capable of receiving this charge without damaging the battery. CHAdeMo looks problematic today, but when it came out there was nothing else that came close. It's biggest limitations were that CHAdeMo only worked on Leafs and Mitsu EVs, and the Leafs could be damaged by the quick charge, and the Mitsubishi EVs had a 62 mile (max) range. While it is exciting to talk about upcoming GM and VW/Porsche fast charging networks, the biggest working EV charge network today is still Tesla's, and it will be several years yet before these new charging networks get installed and running. One big point that is often left out of these discussions is the fact that the actual charger is built into the cars. So on top of the fact that my Volt and ELR's standard charger plug is incompatible with CHAdeMo, DC chargers, superchargers, and now XFC, even if it could plug in, the internal chargers max out as 3.3KW, or about 11 miles of charge per hour. The Bolt's DC charging is MUCH faster, and hopefully GM will make the plug compatible, and allow the XFC system to maximize the Bolt's charging system for current models. But usually manufacturers are trying to sell you tomorrow's car far more than supporting yesterday's technology. So in addition to them needing to design and build this new system, and get them installed everywhere, the cars have to work with them, and ideally they will work with other EVs as well. Plus we have seen with the new Leaf that some battery packs have problems with fast charging repeatedly, as well as slowing down as the charge reaches completion. Personally, I charge at home 99% of the time overnight, and it is no problem. It does look compelling to read about upcoming cars and chargers that are capable of charging 180 miles in 10 minutes, but I suspect that it will still be several years until that technology filters down to my budget level. GM sold its first electric car in 1996, crushed it in 1999. The current models (Bolt) max out at 55kW with a charge rate of less than 238 miles per hour. And basically not chargers support these speeds at the moment. Tesla sold its first electric car in 2008. The current models charge at 480 miles per hour (120 kW) at any supercharger. The Model 3 even has some room for future superchargers to boost this to 620 miles per hour (157 kW). So it took GM 22 years to get to half the charging speeds of Tesla. Although Tesla sold its first car just 10 years ago. Yeah. GM definitely leads the innovation. GM's new fast charging is not “new” at this point, it’s “future.” I hope they get there, but the headline is inaccurate. It's a good thing that GM also wants to enable faster charging in 3 years. I wonder if we can thank Elon Musk and his Tweets. Elon did mention that 350 kW is for childrens' toys. I wouldn't be surprised that Supercharger V3 will greatly surpass this development within 3 years :) That's the sort of Tweet that could stimulate the grey executive men in Detroit to raise the bar :) @DeanMcManis: Whenever you see the word DC-charger, this IS the only charger that's in use during that process, and this charger is always external to the car. IIRC, there's no more conversion except that the battery management system will still monitor the process. Thanks for that info Erik. My point was that we have already seen issues with charging big batteries quickly. And introducing a new, non standard charging system, that requires an EV that is designed only to work with that proprietary equipment does not mean that any other people with existing EVs will benefit from that future technology. @Dean yes. Totally agree that minimizing the amount of different standard is worthwhile. Because if everyone makes their own standard, there is no standard.